Tool cabinet Craftsman vs general pro,67831MINDLESS BORING:A Christmas gift roller tool cabinet. I received in craftsmen bottom tool cabinet and decided to exchange it for the harbor freight general pro tool chest and cabinet combo. 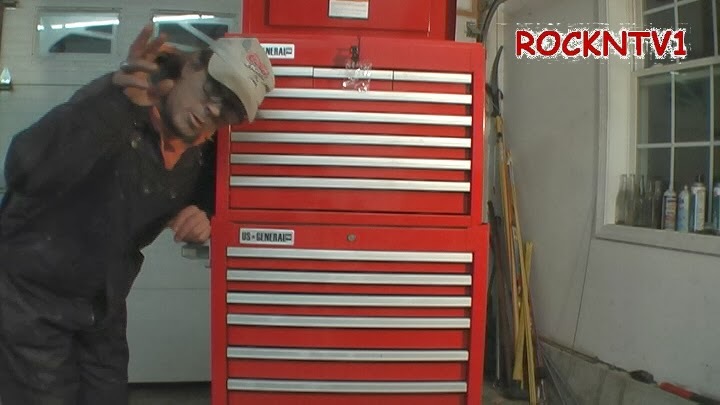 Unlike the 30 year old craftsmen toolbox made in the USA, the new ones are made in China, as are most of Harbor freight tools, including the tool storage boxes. After fixing the wheels on my craftsmen box at least twice over the years, and looking at the general pro combination of roller cabinet and tool chest, I decided I would no longer pay sears extra money just for the brand-name. The heavy gauge steel on the general pro toolbox, ball bearing slides on the draws and on sale price sealed the deal. For less than the Cost of the now made in China craftsmen tool chest I got the entire toolbox chest and roller cabinet on sale at Harbor freight. While Santa may have been a bit disappointed the return of sears craftsmen toolbox, I however am not disappointed in my decision to buy the Harbor freight 67831 tool cabinet and top chest from U.S. general pro.